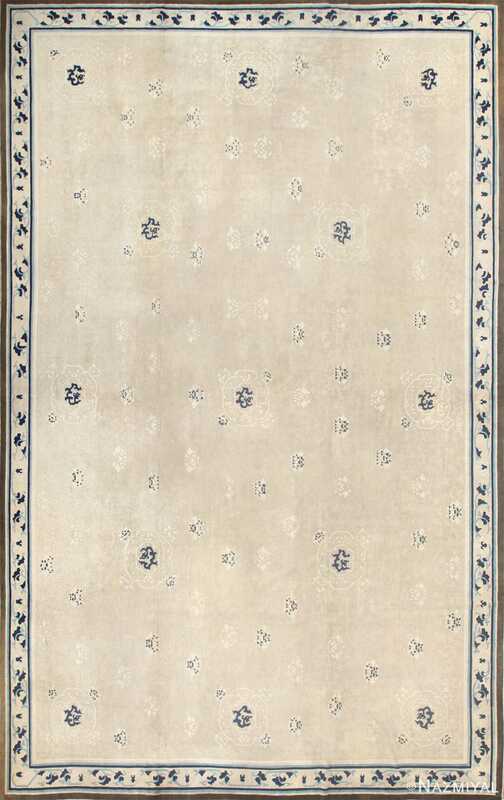 This lovely carpet has a classic Chinese medallion design elaborated by vinescroll patterns. 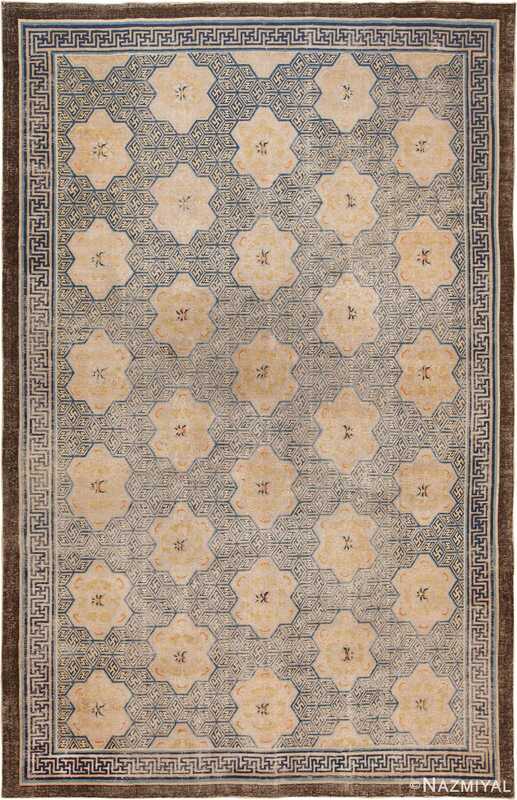 Antique Chinese Rug, Origin: China, Circa: Early 20th Century – This lovely carpet has a classic Chinese medallion design elaborated by vine-scroll patterns. Above and below the central openwork medallion are vases that spew forth intersecting vines replete with leaves and flowers. 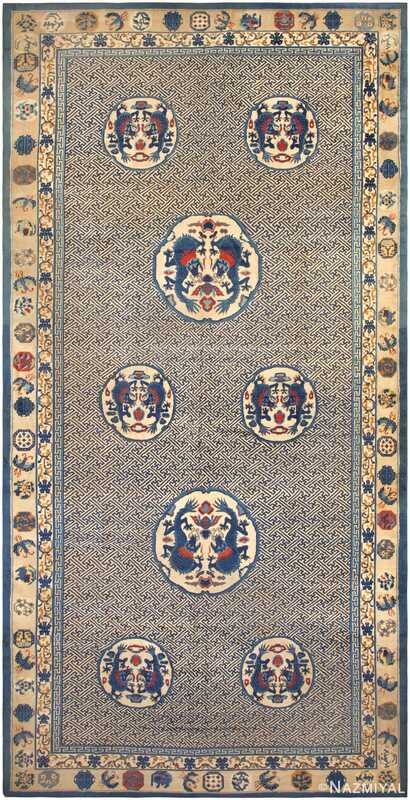 Within the ogival forms produced by the vines are two more openwork medallions. A broad border of flowering vines or garlands frames the field, set on deep blue in contrast to the burnt-orange of the central area. 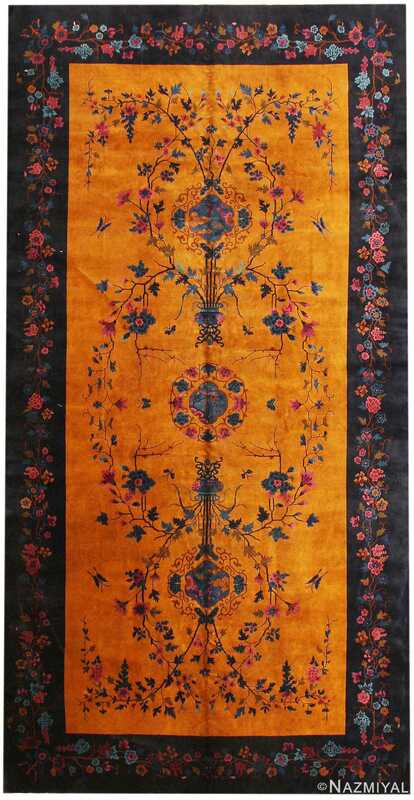 While most of the design elements and the openness of the composition are traditional Chinese, one may detect something of the influence of Persian carpets in the arrangement of the vine-scrolls.